... the Living Underwater way. Where do you want to dive today? With our majestic walls, unique coral formations, lush reefs, abundant and diverse marine life, and 100+ foot visibility, it’s no wonder Cozumel is consistently rated among the Top 10 Diving Destinations in the World! Whether you are a newly certified diver, or a seasoned veteran, Cozumel is the perfect dive destination for you. 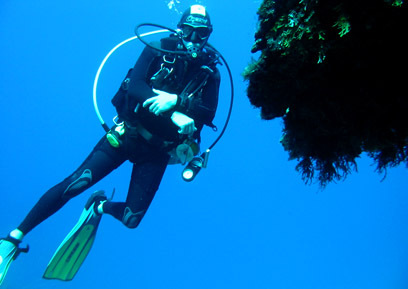 Jeremy Anschel and his experienced, professional staff at Living Underwater look forward to diving with you soon!